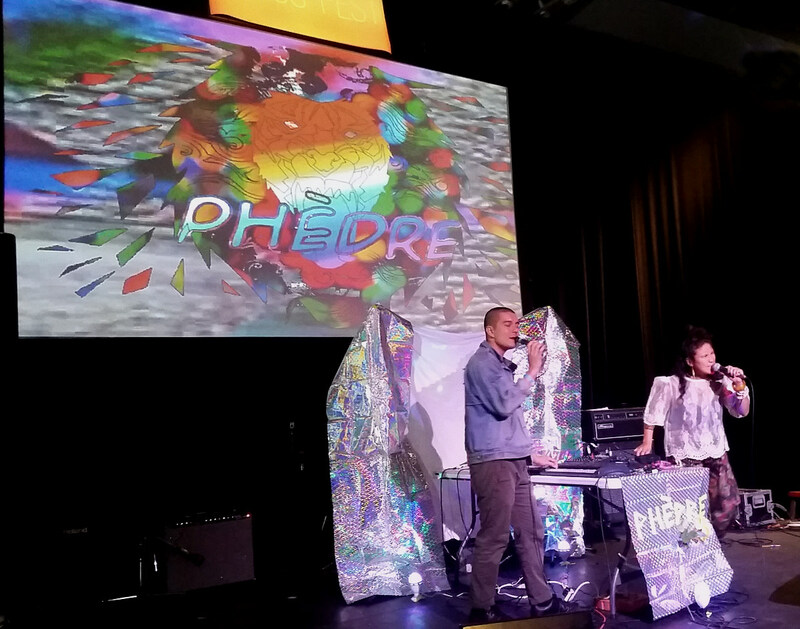 Phèdre feat. Above Top Secret - WTF?! 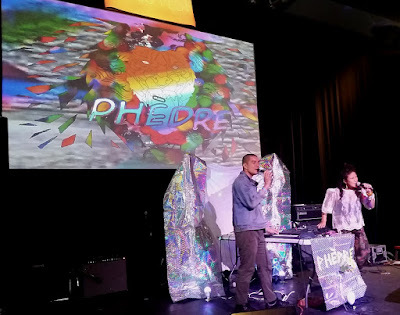 With their DIY projection art, reflective foil backdrops and penchant for posse cuts, April Aliermo and Dan Lee have been pushing Phèdre in the direction of "spectacle" for a little while now, making them an ideal festival band. Perfectly placed at the day's fulcrum, they provided an energy boost for folks who had been there for a concert's worth of bands already and a jolt to those just walking in the door. They made this set a special occasion with a couple back-to-back all-star on-stage collaborations, first bringing up SunSun and Ayo Leilani (fresh from their own Witch Prophet set) to drop rhymes over a Lee Paradise (one of Lee's other noms du guerre) remix, and then upping the ante even more with HanHan and Bonjay's Alanna Stuart trading phrases back and forth.